Emma Watson trades her wand for books as Belle, a young woman who fights against female stereotypes and social norms in the French town of Provincial. Besides playing a lead role in one of the world’s most successful franchises, Watson is a dedicated UN’s Women’s Goodwill Ambassador, promoting gender equality and girl’s education. She is also the founder of ‘Our Shared Shelf,’ a feminist book club that focuses on equality and female empowerment—to say she embodied the character Belle is an understatement. Fans of “Downton Abbey” may notice Dan Stevens as the Beast, the enchanted prince whose freedom depends on the requited love of another. A contemporary twist is taken to include Disney’s first LGBT character, LeFou, played by the Josh Gad, known for voicing Olaf (Frozen.) The bumbling sidekick to Luke Evans’ impressive Gaston has received a very mixed reaction. Some praised the representation. Others questioned the flamboyant choice of character for the momentous moment. But Disney have stood by their choice, refusing to allow countries with strict laws on homosexuality to cut scenes of LeFou and Gaston to appease viewers. In this modern time, Disney seem to be progressing away from outdated misrepresentations of women, sexuality, and diversity. Although the film is stays true to the animation, some aspects fail to hit the mark. The iconic theme song, “Tale as Old as Time,” is sung by John Legend and Ariana Grande, a rather disappointing upgrade from Angela Lansbury’s original as Mrs. Potts. Ewan Mc Gregor’s French accent as Lumiere is somewhat appalling. And the Beast’s relationship with his father is hammered home with flashbacks and Mrs. Potts explanations. 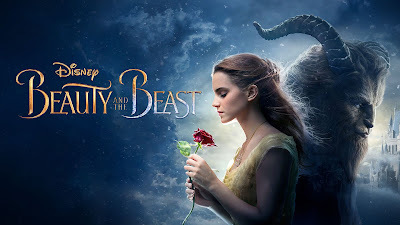 Director Bill Condon does a marvellous job in creating a wonderful experience in “Beauty and the Beast.” From set design to costumes, casting, choreography, CGI, and camerawork, Condon manages to capture the beauty and magic instilled in the original. Several scenes are shot-for-shot of the beloved animation, but none are as well done as the transformation. The long-awaited unveiling of the human prince is so nostalgic, a chill of delight is guaranteed to emanate from your heart. But although the live action ticks all the right boxes, I doubt it will remain as timeless as the 1991 animation.